With Dakota Pheasant Guide you’ll be hunting on privately owned land, reserved exclusively for our guests. We have access to so many acres of high quality land that it is impossible to over hunt our properties. 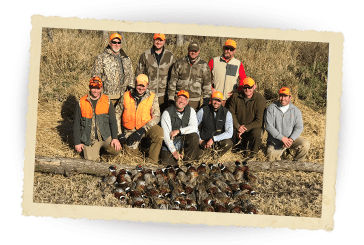 Experience classic South Dakota pheasant hunting at its finest. Unlike a pheasant preserve, we do not release tame birds. Instead we manage our habitat properly so there are plenty of wild birds, allowing you the opportunity to limit out each day. Whether you’re looking to come for a week or a weekend, have a group of 2 or 20, experienced or novice – we have packages and lodging options to suit your needs and your budget. We’re always happy to satisfy your hunting party’s unique needs. We’ll give you access to our incredible hunting property and you can take care of the rest. If you’re planning a day trip, have lodging options or just don’t want a guide, this is a great option for you. Bring your dogs, your crew and plan to have an amazing hunt! 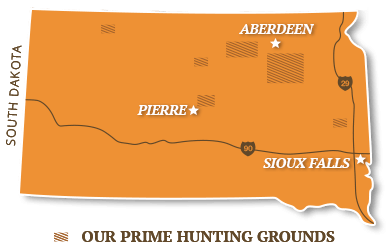 We have thousands upon thousands of acres of prime pheasant hunting land in northeastern and north central South Dakota. Our land owners have created an environment where pheasants thrive due to diverse habitat options that include grasslands, CRP, shelter-belts, sloughs, creek bottoms and food plots. 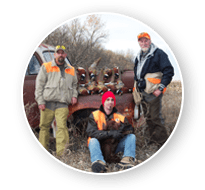 With Dakota Pheasant Guide you’ll experience a good old fashioned pheasant hunt in the beautiful wide open spaces on some of the highest quality land you could ever hope to find in south Dakota. 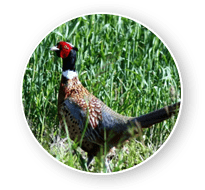 We cordially invite you to come on out and discover for yourself what a superior experience upland bird hunting wild pheasants with us can be. 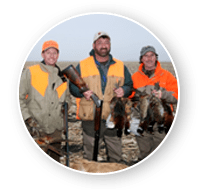 Three Packages to Fit Any Hunting Party's Needs With Dakota Pheasant Guide you're sure to have a pheasant hunt like no other. On October 30th, 1919, the first pheasant hunt took place in Spink County and fifteen years later, pheasant hunts were held in every county across the state. It all got started with the first release of birds in 1908, and if you’d like to hunt the land where they were released, we can make it happen. Take part of a rich South Dakotan tradition that is alive and well today. 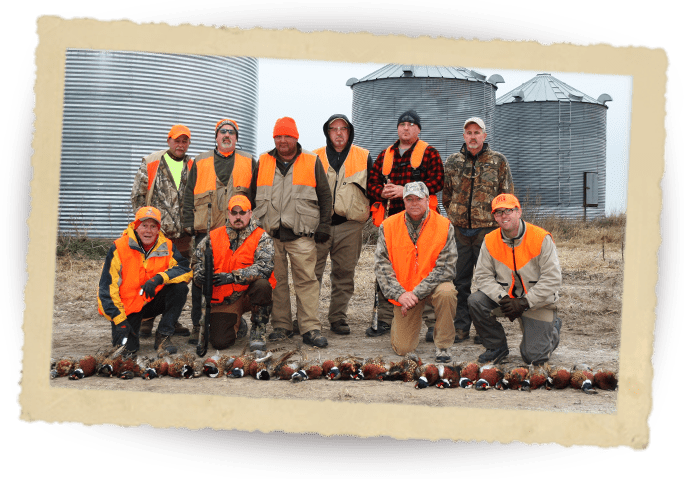 If you want the best pheasant hunt, head to South Dakota, it will be a hunting trip you won’t forget. Everyone enjoys a good hunt, and we offer the best! every day in 1 to 2 hours, seemed very pleased. shoot my first truly wild pheasant. Great Hunt! Thank you so much as we limited every day. 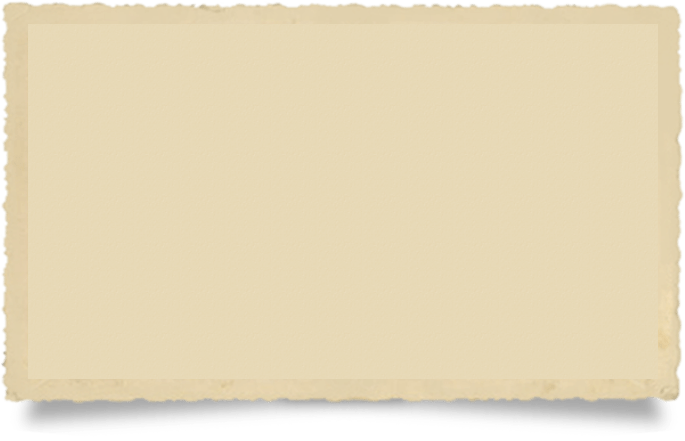 time we will…bring more guys! Thanks for the land to hunt. I limited out both days. I will get with you next year for the same! any day of the fall or winter. and the work to conserve quality habitat. The hunting and hospilality is phenomenal. number of birds you showed us! ready to go again as soon as the season rolls around. Thanks for a great hunt and memorable experience. Mark and I are looking forward to hunting with you again! 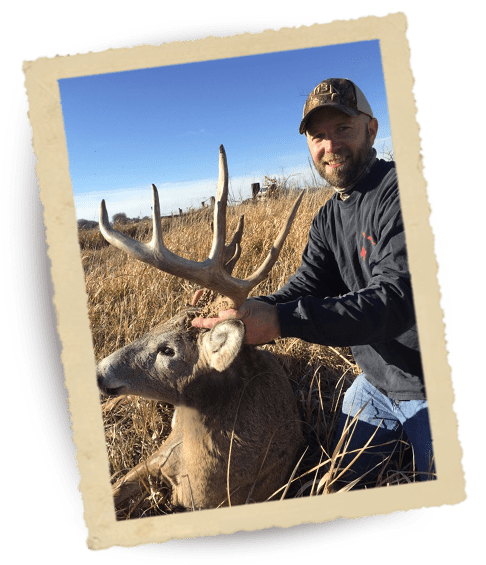 We are now offering a limited number of exclusive trophy whitetail adventures strictly for bow hunting enthusiasts. We have full and self-guided packages available with lodging for most. Predator hunting is free and highly encouraged as part of our booked hunts. We have an overabundance and your help in eliminating them is highly appreciated. We can point out prime locations in which to call as time permits while you are here. 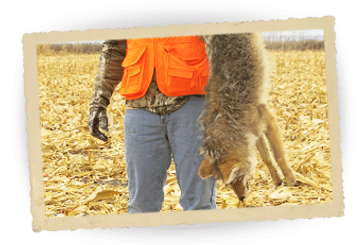 You can also take predators while in the field with your shotgun, provided the animal is well in the open and there are no dogs within sight. Stand alone predator hunts can be arranged for the “off season” as well. Please call for details. 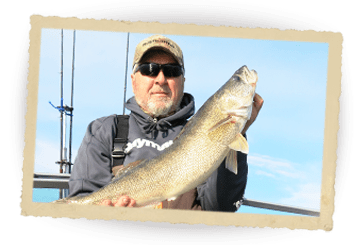 Whether your interest is Walleye, Perch, Bass, Northerns or anything else, we can create a South Dakota fishing package for a trip of a lifetime. With Dennis you’ll have access to top-of-the-line equipment as well. From what airports to use to what to pack, we’ve got some tips to help make your trip a successful one. We offer four lodging options to fit your party’s size and needs. Each in the heart of pheasant country. 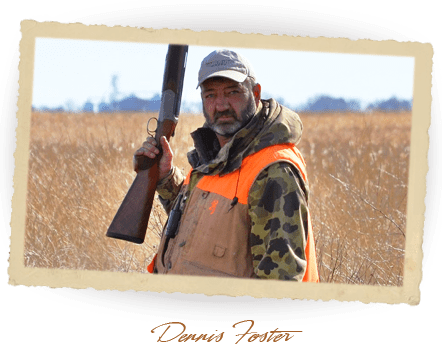 As a seasoned outdoorsman and professional writer, Dennis Foster contributes insights for your hunt. 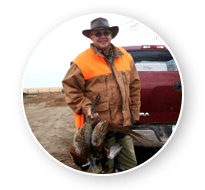 Dakota Pheasant Guide is owned and operated by Dennis Foster. Dennis is a widely published outdoor writer with articles in numerous national and regional publications. He has also hosted and been a frequent guest on several outdoor television shows. Most notably Focus Outdoors TV, Tom Gruenwald Outdoors, and In-Fisherman TV. 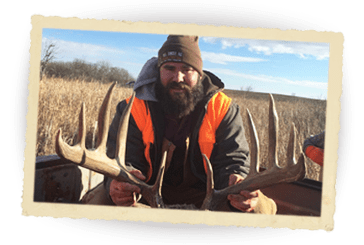 As a South Dakota native, hunting and fishing is in Foster’s blood. He’s spent time touring as part of the professional walleye fishing tournament circuit and still competes when scheduling allow him. He is also a highly dedicated and valued promoter within the hunting and fishing industries. Please visit EyetimePromotions.com to learn more about the fishing end of things and maybe even book a trip! At Dakota Pheasant Guide we strive to provide our guests exactly the kind of hunting atmosphere that we would want for ourselves. From prime hunting land, to well trained dogs to premium shotgun shells by Rio Ammunition, we make sure you have the best. After all, we are not just doing this for a living…it is truly our lifestyle. We simply will not compromise that, ever. So, come on out and join us this season and experience for yourself the hospitality and fine hunting we are famous for. 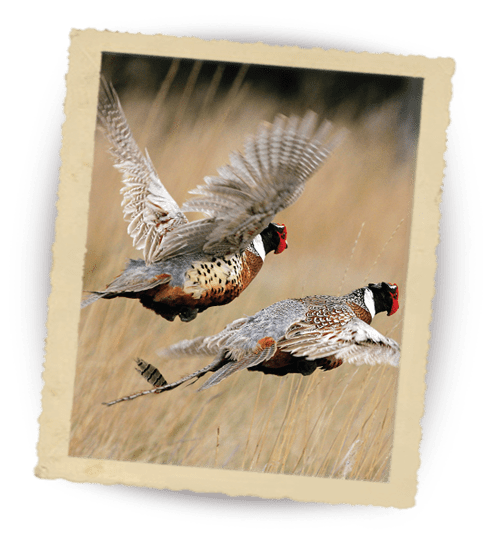 Download the Dakota Pheasant Guide Brochure Now An easy way to share information about hunting and fishing opportunities with your friends and family.